James Pfarr faced two pivotal moments in leading DeLaSalle to a 4-0 victory over Tri-Metro Conference rival St. Anthony Village at Palm Field on Friday. The first of those moments came in the Islanders’ (1-0, 1-0) dugout during the seventh inning, when manager Douge Schildgen tried to take Pfarr out of the game. 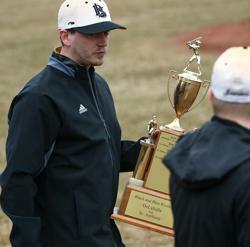 "My arm felt good, and these guys have beaten us four years in a row [in the regular season]," Pfarr said. "Last year I took the loss to them on this field. These guys are rivals — I felt I needed to finish the game out." Pfarr got his wish, but then faced a second critical moment with two outs in the bottom of the seventh. The Huskies (0-1, 0-1) had runners on first and third when the batter hit a come-backer that deflected off Pfarr's glove. The junior righthander pounced on the ball, then threw to first to get the game's final out on a bang-bang play. "I knew the batter wasn't fast, so I had a little time," Pfarr said. "I knew if I made a strong throw to first, I could get him. I was just happy to get that out for our seniors — they had never beaten that team during the regular season in their careers. I wanted to get the win for the whole team." Pfarr played a big role in the victory, tossing a four-hit shutout that included 12 strikeouts and just two walks. "James is a bulldog," Schildgen said. "I probably should have taken him out in the seventh, but he was going well. So we just let him go." Pfarr relied on his fastball to throw first-pitch strikes to 19 of the 25 Huskies he faced. The only hard-hit ball off the junior was a double to center by Brady Johnson leading off the sixth, but Pfarr stranded Johnson at third base to preserve his shutout. "I wanted them to prove they could hit my fastball before I threw any of my other pitches," he said. "The game plan was to pound the zone with strikes. The first-pitch strikes set a tone; they allow me to control the at-bat rather than allowing the hitter to control it." Schildgen also said Pfarr's success came thanks to a strong effort by his catcher Luke Timmermann. "He helped James out by blocking some balls, and he threw out two runners trying to steal to put a stop to their running game," Schildgen said of Timmermann. Meanwhile, the Islanders were able to scratch out single runs in the third and fourth innings off Huskies starter Weston Russell. 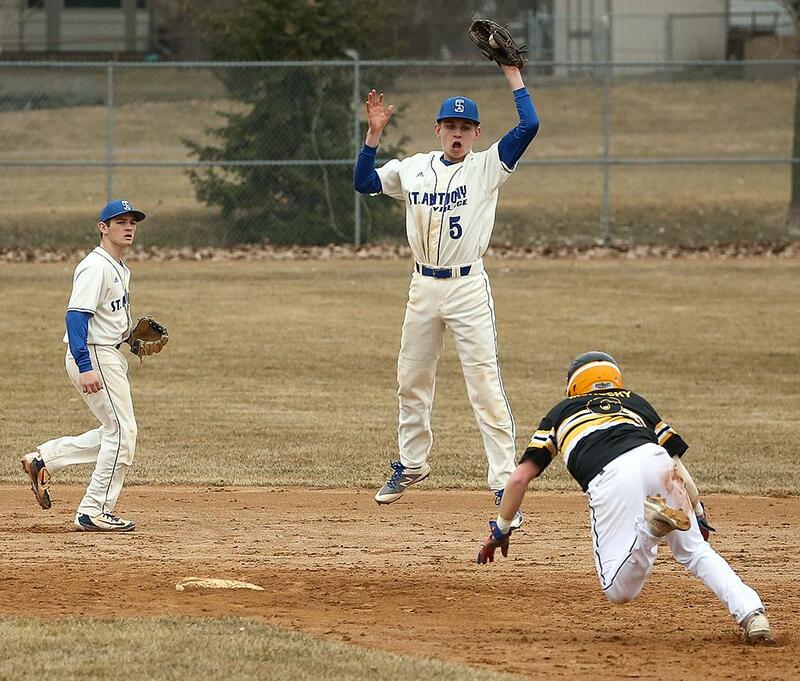 Sam Kulesa's single up the middle plated the run in the third, and a throwing error on a ground ball to shortstop allowed a DeLaSalle runner to score from second base with two outs in the fourth. Then in the fifth DeLaSalle gave itself some breathing room with a pair of runs. Gavin Taylor lined a run-scoring single with one out, and a throwing error on a double-steal allowed a second run to score, which was more than enough offense for Pfarr to close out the victory. "I think the pitchers always have the advantage early because the batters haven't seen live pitching," Huskies coach Troy Urdahl said of the season’s start. "But Pfarr threw a great game. Our batters struggled because he was on and threw a great game. "The key was throwing strikes and putting pressure on the defense, and they did a better job of that than we did." 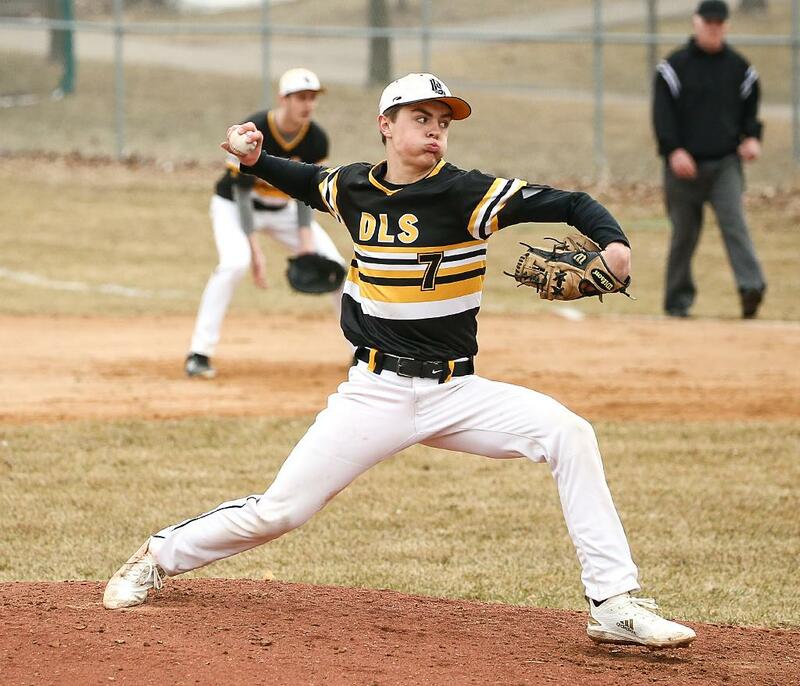 James Pfarr threw a four-hit shutout to lead DeLaSalle to a 4-0 victory over St. Anthony Village at Palm Field Friday in the season opener for both teams. Pfarr struck out 12 and walked two in the complete-game win. The junior righthander allowed just two runners past second base to lead his team to the Tri-Metro Conference victory. 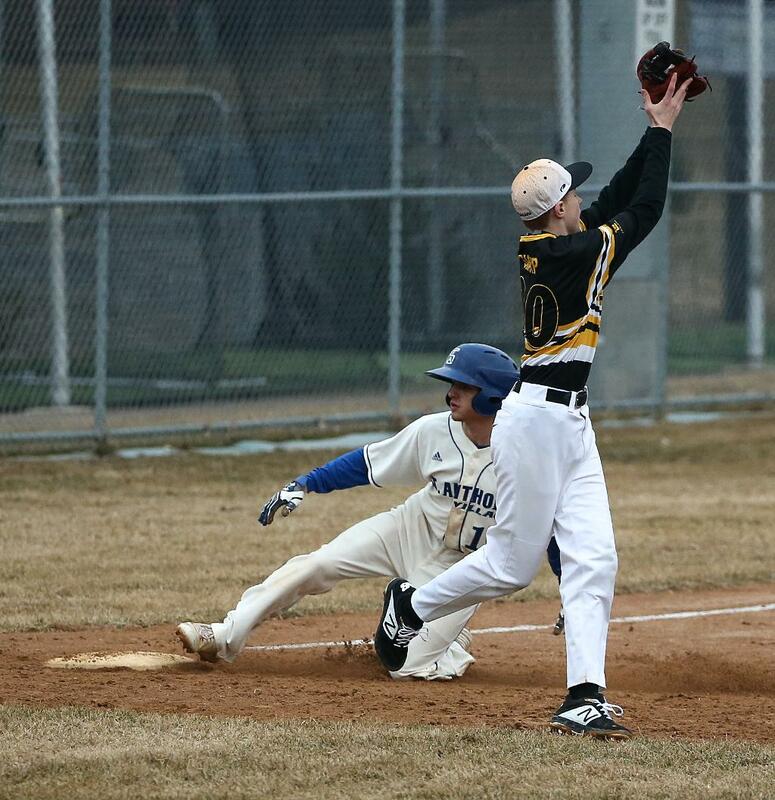 DeLaSalle (1-0, 1-0) scored a run in the third inning thanks to a RBI single by Pfarr, then tallied an unearned run with two outs in the fourth. The Islanders then gained some breathing room with a pair of runs in the fourth. Gavin Taylor lined a run-scoring single to left field, and the second run made it home on a throwing error trying to thwart a double steal. The closest the Huskies (0-1, 0-1) came to scoring off Pfarr was in the bottom of the seventh, when a two-out walk and a single put runners on first and third. But Pfarr coaxed a come-backer to the mound and threw the runner out at first base on a bang-bang play to close out the victory. Right-handed pitcher Weston Rusell, an eighth grader, suffered the loss for St. Anthony Village in his first varsity start. In four innings, he struck out seven while allowing just five hits and two walks that resulted in a single earned run. The MN Baseball Hub polls are for entertainment purposes only.